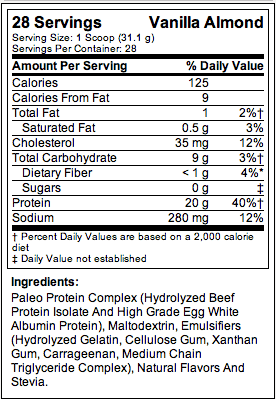 Directions For PALEO PROTEIN: Add 1 scoop to 8 fl. oz. (240mL) of cold water and mix well.